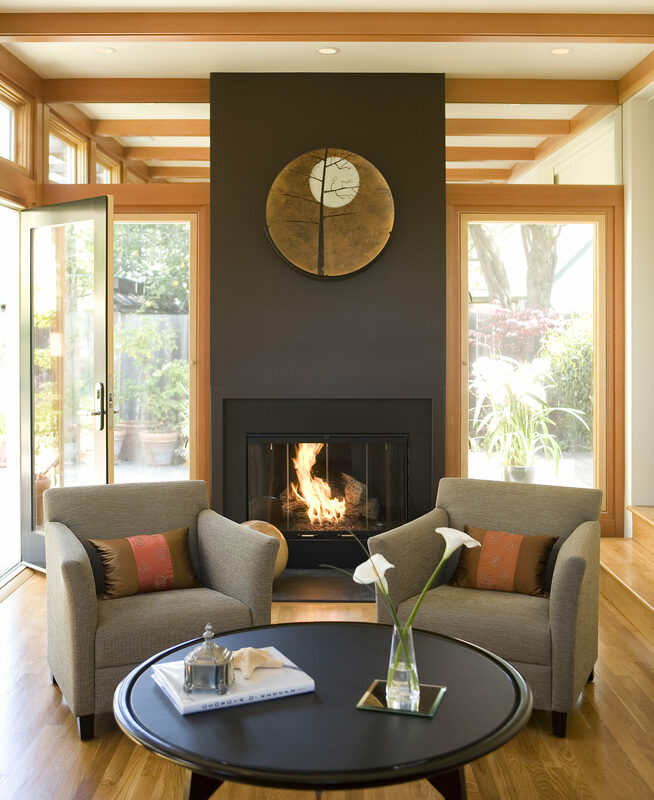 The San Leandro Residence project scope included a renovation of an existing family room and master bedroom. The main goal of the project was to add a sense of space within a limited floor area. The project solution included adding exterior openings and interior openings to the master bedroom, installation of interior trims to introduce scale, and utilization of mirrors outside the new openings to give a sense of space.